From selling refreshing lemonade, warm cookies and creative crafts, the students of Stepping Stone Schools in Austin, TX put their business minds and giving hearts to work at the schools’ Young Entrepreneurs & Philanthropists summer camp program – all to support Ronald McDonald House Charities of Central Texas. The students raised over $3,000 through the sale of their goods and Stepping Stone School matched and exceeded all funds. Together, they donated $6,500 to support the families with hospitalized children that rely on Ronald McDonald House Charities of Central Texas. Stepping Stone’s summer camp program combines teaching students how to plan, prepare and conduct a series of businesses while learning how to give back. The young students did everything from developing advertisements and pricing strategies for their businesses, plus they learned how to work as a team and most importantly, had fun! Stepping Stone School’s Young Entrepreneurs & Philanthropists program began in 2010 and has supported RMHC CTX from year one. 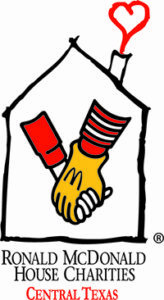 Since they began supporting RMHC CTX, Stepping Stone School has donated over $19,000.